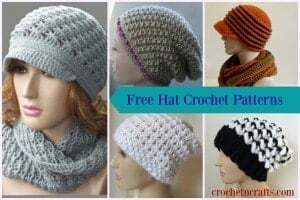 Free crochet pattern for an adjustable hat. Here is the slouchy beanie to go with the cowl that was published a while back. 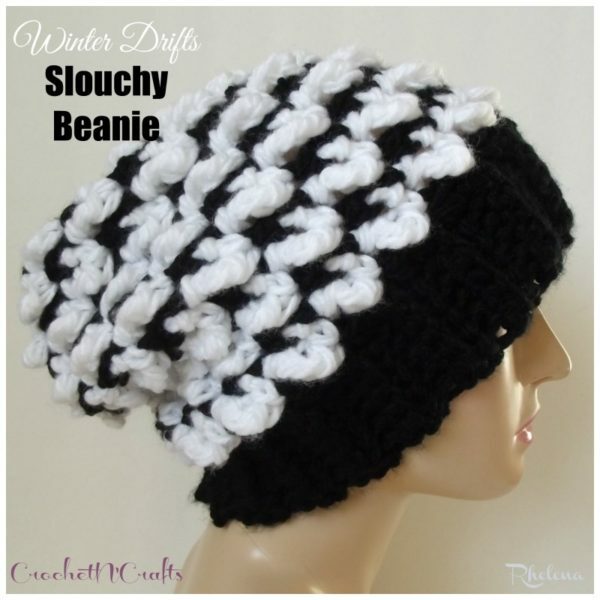 It works up quick and easy and can be crocheted to any size that you need. This beanie is shown here in a bulky yarn, but since it’s so easy to adjust to any size, you could work this up in just about any yarn and hook size that you want. Another beauty of this beanie is that it’s got a gorgeous texture that’s created by working both the single crochet and triple crochet into the same stitch. Yarn: Loops & Threads Charisma #5 – One 3.5oz ball of CA and CB. Finished Size: Laying flat it measures 9″ across the brim, 10″ across the body and 11″ top to bottom. For a more seamless look, join new color after the round is joined. Rnds 4-16: Rep rnds 2-3 ending rnd 16 with rnd 2. Fasten off CB at rnd 16. Rnd 17: With CA, ch 1, sc2tog around; (19 sts) Fasten off leaving an 8″ tail for weaving in through the last round. Pull tight to close the hole and weave in tail end to secure. Click the image below to go to the matching cowl. 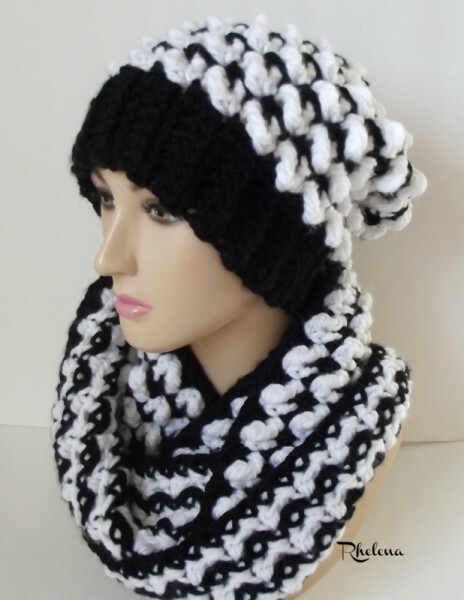 You might also enjoy the entire line of the CNC Crochet Hat Patterns.